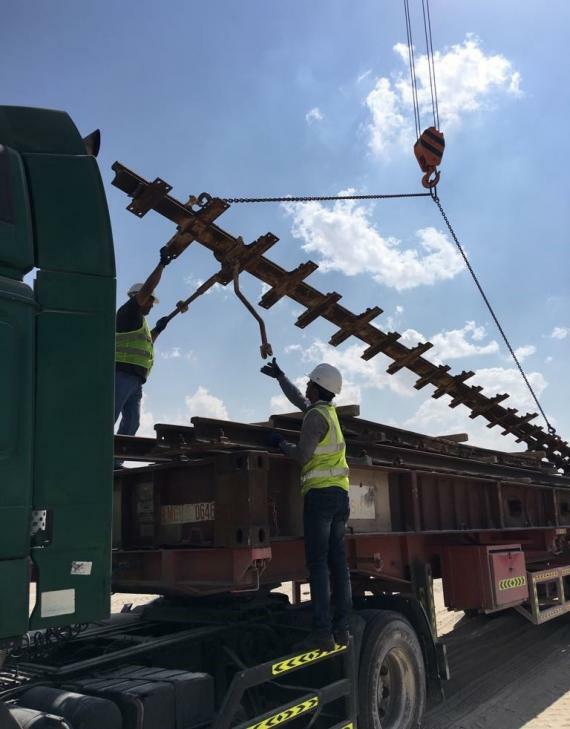 The Wilhelmsen Ships Service (WSS) project team in the UAE have handled the return shipment of turnouts, rails and wooden sleepers to Genoa, Italy. 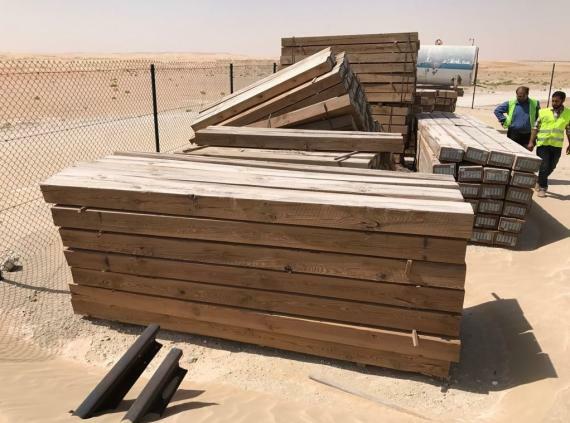 The cargo was located at two separate project sites in the UAE and was shipped in two lots - the first on 8 x 40' platforms and 2 x 40'HC and the second on 6 x 40' platforms, a 40'OT and a 40'HC. 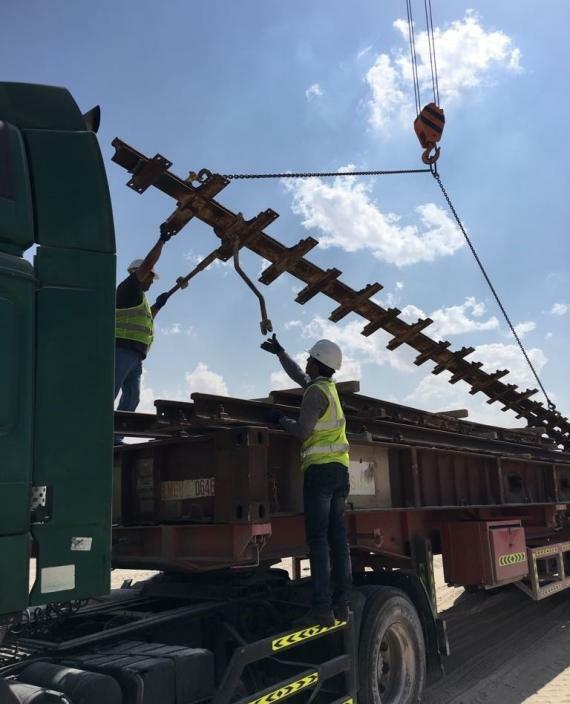 This was the second consecutive return shipment handled by WSS for the Italian rail contractor with the first shipment earlier this year consisting of rail wagons and accessories (click here for details). 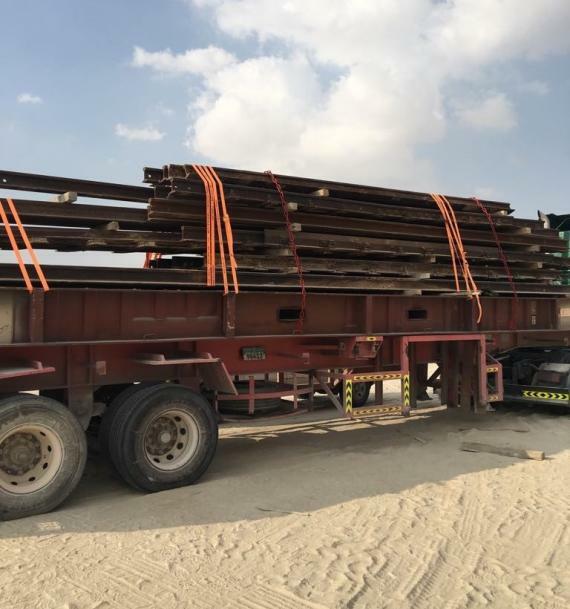 A survey of the cargo at both project sites (approximately 250-300km from Abu Dhabi City) to propose the number and type of containers required as well as the loading, lashing and securing requirements. 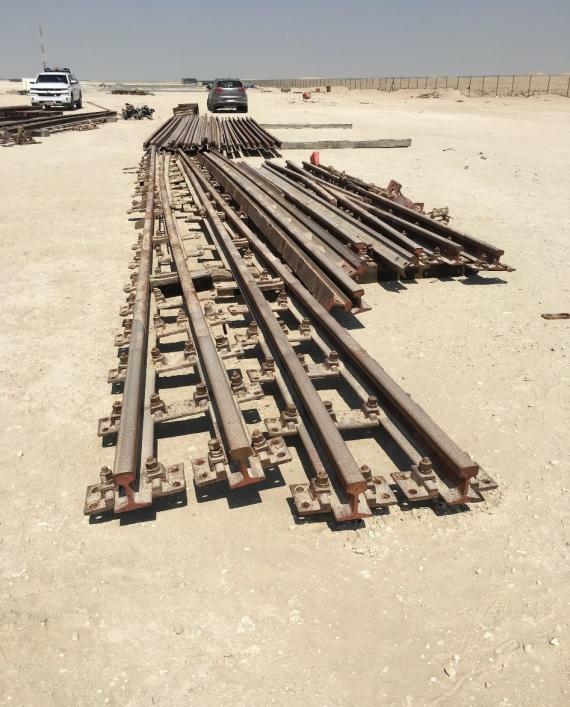 Coordination for site access permits to position equipment and teams. 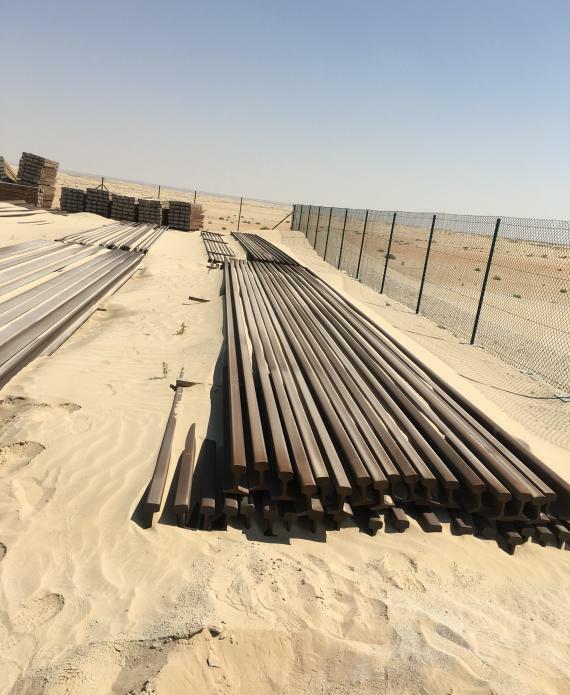 Arranged the required cranes, forklifts, rigging, lashing and securing team at both sites. 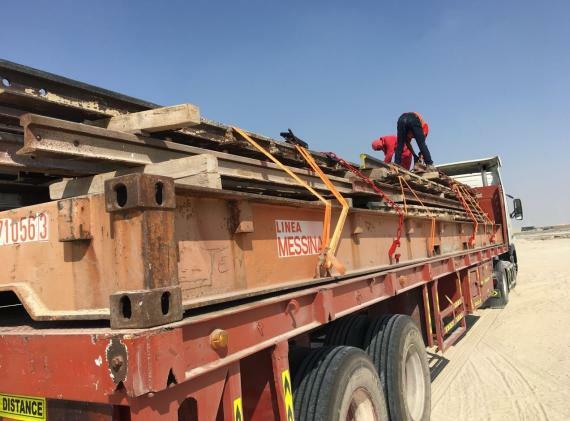 Transport of empty containers to the sites, loading and return of full containers to the port. Processed export documentation with customs. Sea freight from Khalifa Port in Abu Dhabi to Genoa Port, Italy. Wilhelmsen ensured the proper coordination between all parties and timely movement of the shipment.